Knowledgeable of current billing regulations for Medicare, Medicaid, Tricare, Blue Cross Blue Shield and many other commercial insurance carriers. 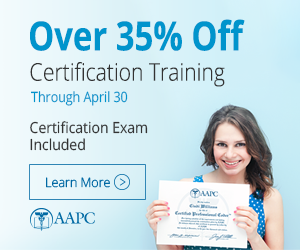 Extensive training and experience ensuring Medicare compliance in documentation and performing chart audits. Responsible for auditing daily charges to ensure complete documentation, accurate CPT and ICD-9 coding, and Medicare compliance. Also assist in all other billing functions such as posting payments and denials, working outstanding accounts receivable, and patient collections. Was the Clinical Trial Coordinator for all clinical trials in the practice. Specialty is Oncology/Hematology. Primary duties include reviewing and researching insurance denials, correcting billing errors and resubmitting or appealing claims to various insurance companies. Specialty was Obstetrics/Gynecology and Podiatry. Responsible for all aspects of billing including ICD-9 and CPT coding of both office visits and surgeries, charge entry, payment posting, insurance billing, insurance follow up, and collections. Specialty was Ophthalmology and Optometry. Worked as a consultant, helping the practice assume their own billing as they had previously contracted out to a billing company. Overseeing all aspects of billing and collections and training the new billing staff and manager to operate smoothly in their new positions. Specialty was Neurosurgery. Responsible for handling a very large practice account. This included coding and posting of both office and surgical charges, posting of insurance payments, checking for appropriate reimbursement, following up on denied claims and tracking unpaid claims, fixing problems with accounts and working with patient collections. Specialty was Neurosurgery. Responsible for all insurance tracking and patient collections, as well as coding, posting charges, and filing claims for hospital charges. Worked frequently at the front desk checking in and checking out patients, scheduling appointments, answering the phones, and posting patient payments. Specialty was Cardiology, Oncology and Infectious Disease. How far are you from Lackland AFB?